It is now 40 years since I first started training as a Reflexologist, and throughout these years I still have the same passion for my work as I did when I commenced studying this fascinating science. 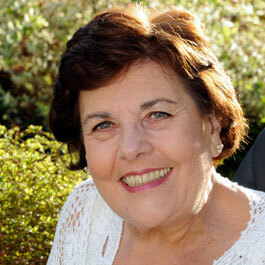 Reflexology Pioneer in the 1970’s & Best Selling International Author of 16 Books. I have travelled to many countries of the world training students in this subject, giving public lectures, making DVD’s and have written 16 books on reflexology. Reflexology offers mental and physical relaxation, thus creating the right state for the body to begin healing itself from all manner of everyday ailments, and I believe that in order to heal the body the gentle way the body mind and spirit must be in harmony. Reflexology is in great demand and I hope you will find my books and charts of interest whether you are personally involved as a practitioner or keen to learn about the natural ways of healing the body. Always remember that healing is simple, it is mankind who complicated the issue. May I now share my knowledge with you?